They don’t call him Captain Cool for nothing. He has been one of the most successful Cricket Captains of any international team. He even has a biopic made on him, where the lead role was played by India’s famous Hindi Filmstar, Sushant Singh Rajput. He was at one point of time the richest sportsperson in the world and competed with the likes of Cristiano Ronaldo and Novak Djokovic. I have always been enamoured by Dhoni as a person and followed his career graph quite religiously. I do believe that MS Dhoni is a legendary person. He is a role model for modern day youth. MS Dhoni is a cool and a very composed person on the field as well as off. When he got the captaincy of Indian cricket there were a lot of senior players in the team around that time. He managed to bring in fresh blood without spilling that of the older ones. There’s this good thing about MS Dhoni, that he knows how to maintain discipline among players and also tranquility in the dressing room. 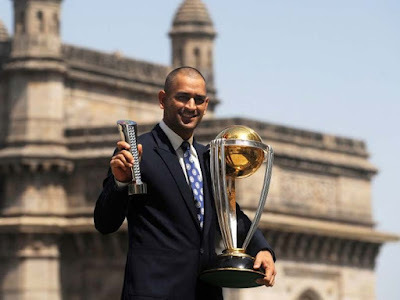 Under his captaincy, India won for the first time the T20 world cup in South Africa in 2007 and also India won for the first time Champion Trophy in England in 2013. Under his captaincy, India also won their 2nd world cup trophy in India in 2011. One thing very impressive about MS Dhoni is that he works on strategies before every match in the dressing room and in the field the teams perform accordingly. He appreciates his players’ performances and motivates them to give their 100% on the field. In my view, MS Dhoni is the best and the most successful captain of modern cricket.